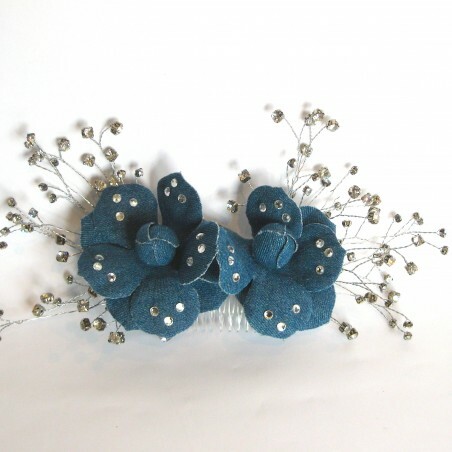 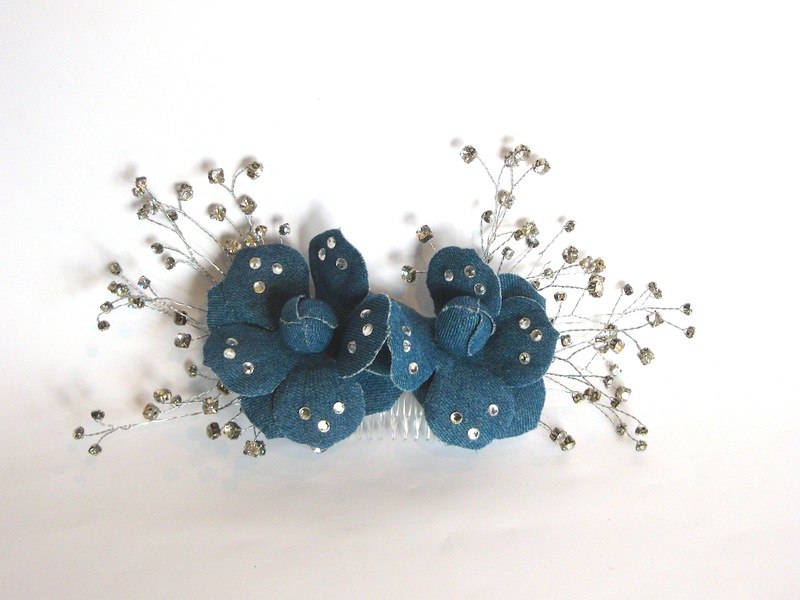 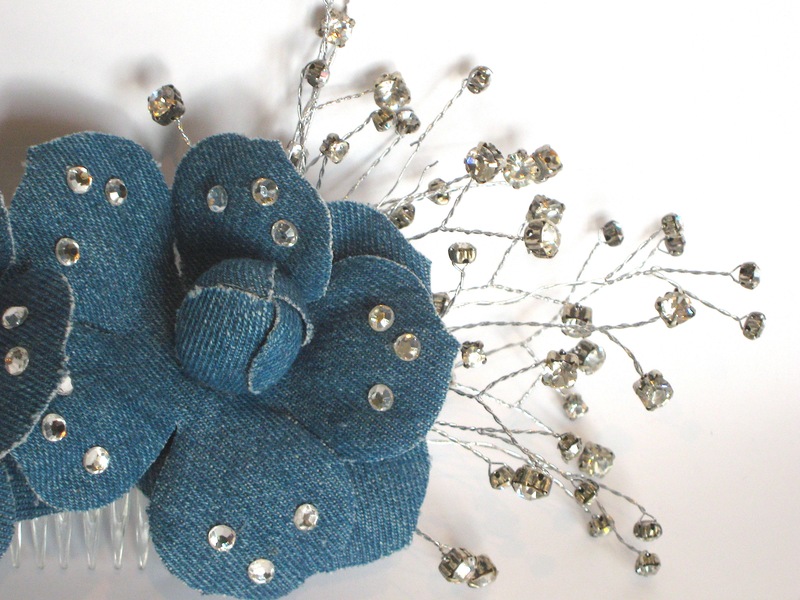 Handmade hair accessory in denim fabric with crystal trim and wired diamante stems. 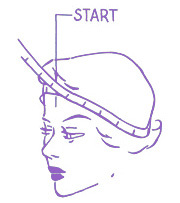 Hair comb to reverse. 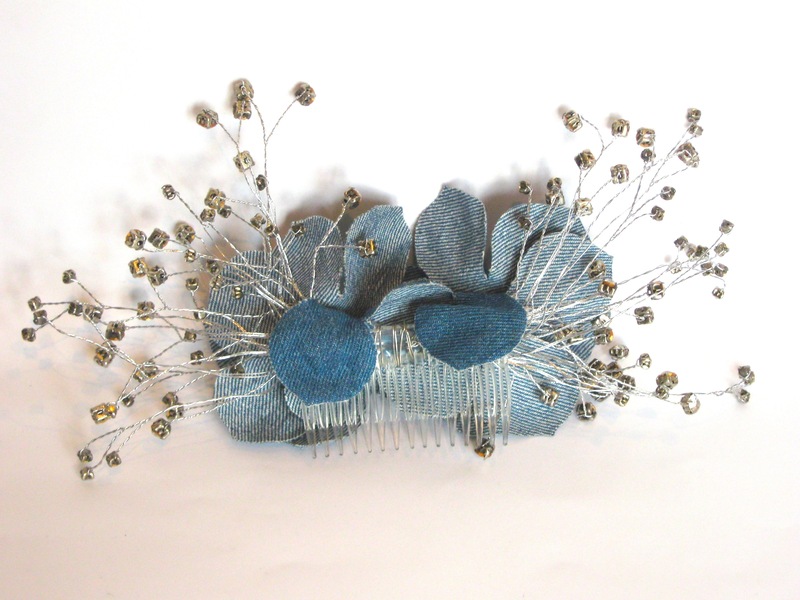 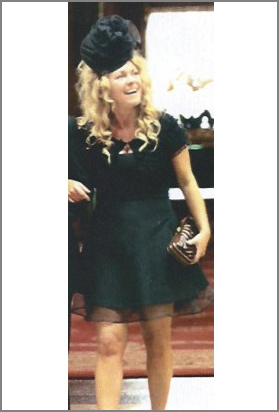 We also have a matching handmade bag for this design.